According to CTV News, one Montreal cabbie has shown an act of kindness by returning a California passenger’s lost iPhone 7, and refusing to accept reimbursement for the shipping charges and more. 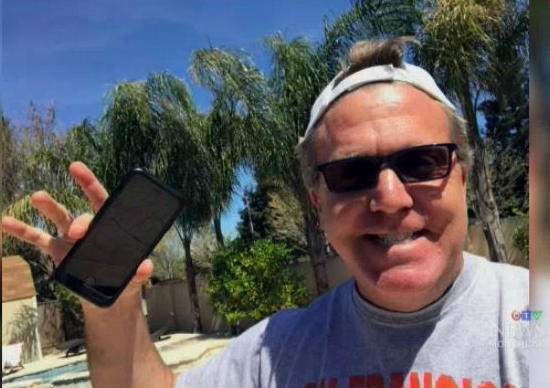 Alan Applonie, from Tracy, California, was on his way to catch an early morning flight back home to when he realized he lost his brand new unlocked iPhone 7—and assumed it was gone forever. But when he got home, his son said “Grandma called, and some guy from Montreal says he has your phone,” which took Applonie by surprise. The Montreal taxi driver, who only wanted to be identified as Hassan, refused to appear on camera, said “It would have been a burden” if he didn’t return the phone, as everyone has the temptation of wanting a new iPhone. He also turned down a reward, which Applonie then said he would donate $500 towards a charity of the taxi driver’s choice. Hassan said he would match any donation made in his name made by the California man.